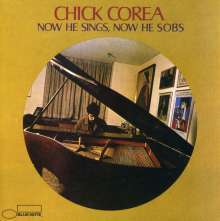 This adventurous yet lyrical trio LP was Chick Corea's career breakthrough album, establishing him as a significant pianist and composer. 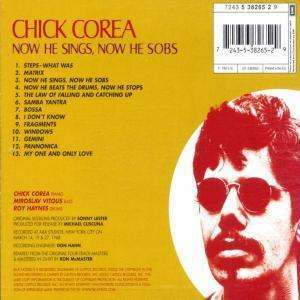 Over three days in March 1968, Corea recorded with Miroslav Vitous and Haynes (they have since reunited many times over past 34 years) and produced a total of 13 great performances only five of which were used on the original albums. The material ranged from soon-to-be Corea classics like "Matrix" and "Windows" to extended improvised pieces like the title tune to creative interpretations of Monk's "Pannonica" and "My One And Only Love". Newly remixed and remastered in 24-bit, this milestone session is complete on this CD and sounds better than ever. Diese Corea Aufnahme aus seinem Frühwerk begeistert durch eine große musikalische Bandbreite. Die ausschweifenden Improvisationen aller Beteiligten kann man nur Weltklasse nennen. Ab sofort meine Lieblings Corea CD ! …und diese CD ist sowohl musikalisch wie klanglich ein Fest! Die Musikerkombination und Auswahl der Stücke sind sehr gelungen. Absolut empfehlenswert. - Übrigens auch der reibungslose und schnelle Versand über JPC.